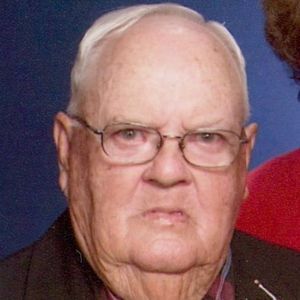 Thomas Lennon Melvin, age 84, of Tar Heel passed away on Sunday, November 11, 2018. He was preceded in death by his daughter: Celeste Melvin, twin sister: Mary Alice Sinclaire, and one brother: Kenneth Melvin. Thomas leaves behind his wife Ruby E. Melvin of the home; son: Ashley Melvin of West Virginia; step-daughter: Victoria Collier of Tar Heel; sister: Myra Melvin Hall of Cameron; seven grandchildren: Sarah Melvin, Alexis Drayton, Michael English, Lauren Hammonds, Ayden Melvin and Kayden Hammonds and Quinton and two great grandchildren: Malachi Melvin and Elijah Melvin. The family will receive friends from 2-3 pm on Wednesday, November 14, 2018 at Tar Heel Baptist Church followed by a funeral service at 3:00 pm with Dr. Mack Roberts and Rev. Leon Warren officiating. Burial will follow the services in the Tar Heel Baptist Church Cemetery. In lieu of flowers, donations may be made to the Funeral Fund of Thomas Melvin c/o Bladen Gaskins Funeral Home, P.O. Box 3150, Elizabethtown, NC 28337.